The master chefs at Shoukouwa take pride in serving only the best seasonal seafood and produce, presenting diners with the purest flavours of the food with minimal cooking and manipulation. The fresh fish, seafood and produce are flown daily to Singapore from Tokyo’s famed Tsukiji Market. 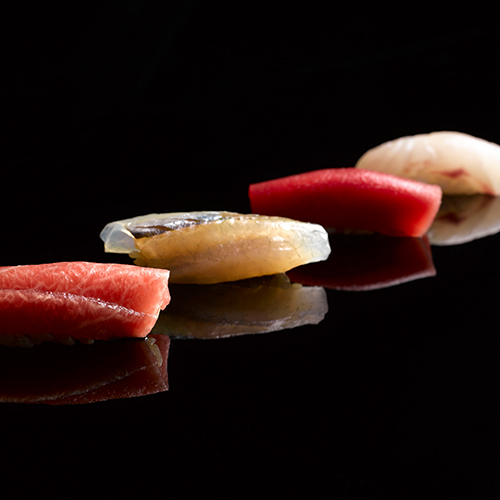 Diners can expect to savour an authentic, world-class fine-dining edomae sushi experience. To further enhance the eveing’s experience will be the smooth and well-balanced Yamazaki whiskies. The Yamazaki Distillery was awarded the title of Whisky Visitor Attracion of the Year at Icons of Whisky 2015. The Yamazaki single malt whisky is a uniquely Japanese taste born from the innate craftsmanship and climate of Kyoto. It will warm your heart with its sweet aroma and fill your senses with its bouquet of estery fragrances, flower and fruit.